With a large grant from the Knight Arts Foundation, Miami City Ballet has been able to commission new work from one of the most in-demand choreographers today, Alexei Ratmansky. Ratmansky was a principal dancer with many illustrious companies such as the Ukrainian National Ballet, Royal Winnipeg Ballet, Royal Danish Ballet. He then went on to become the Artistic Director of the Bolshoi Ballet, revitalizing and revamping the company to create a freshness and modernity with his new perspective on choreography and by developing new dancers. Ratmansky is now an Artist in Residence with American Ballet Theater where he has created numerous ballets, all of which have been met with major acclaim from audiences and critics. 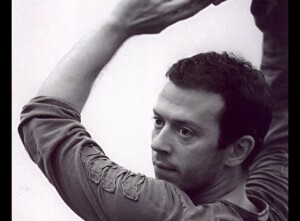 In addition to his work with ABT, the choreographer has staged ballets for the Kirov Ballet, the State Ballet of Georgia, the Dutch National Ballet, the Royal Danish Ballet, the Royal Swedish Ballet, NY City Ballet, the San Francisco Ballet, and more. He has created original full-length productions as well as recreations of older ballets such as Romeo and Juliet (xto Prokofiev’s score), The Nutcracker, and Anna Karenina. Ratmansky’s luminous imagery, sensitivity to corporal and musical nuance, and exceptional ability to create ballet movement that looks like no one else’s has made him one of the most important choreographers of our century. Working with Miami City Ballet, Sergei Ratmansky is creating a 43-minute ballet to Sergei Rachmaninoff’s Symphonic Variations, written in 1940. The piece will premier with the Cleveland Orchestra on March 1st at the Adrienne Arsht Center in Miami. Afterwards, there will be public performances of the piece throughout MCB’s 2012 – 2013 season.